The setting was CES 2018, at the Sand Expo Center, in the Venetian Las Vegas. Several announcements were to be made by the Consumer Business CEO of Huawei. The anticipation of what Richard Yu was to announce could be something that would propel Huawei to reach its goal of becoming the number one handset maker in the world, that much faster. Partnering with a US based cellular provider to offer their phones would mean many things and all of the smartphone makers around the world realize these facts. Several days leading up to Richard Yu’s CES 2018 Keynote saw the fallout of an article that came out in the WSJ reporting that a possible carrier deal with Huawei had been canceled due to a number of reasons. I read the article and several others that outlined possible reasons why a deal, that had been progressing, was canceled at nearly the last minute. Carriers are not known to cancel deals this large or at the last minute. It could be any number of reasons and I do not have all of the information on what exactly happened. Rather than trying to guess, I am going to explain why I use their products and where you can purchase their newest flagship smartphone in the USA today. As someone who has purchased Huawei gear in the past, I did so from a U.S. cellular carrier. One of my cousins used a Huawei phone that he purchased directly from a U.S. cellular carrier. It does matter that their gear is sold through this channel, however it was during a time when most Americans purchased directly from carrier stores. That was before all of the U.S. carriers changed their plans and the way people pay for their smartphones. The last part is integral to my post. People now have more choices of what to use than ever before and smartphone manufacturers from around the world are cashing in on this. Amazon, eBay and other online stores are ways I have purchased wireless gear in the more recent past. Physical stores like Best Buy is yet another way. Both of them have been separate from my carrier and my provider now has options for me to use these devices with their service. The largest reason why people are changing where they are buying phones and hotspots from are because they want to be able to use them in other countries or with other providers. I have talked with many people over the years and they have all said that they buy unlocked phones, even though it costs them more upfront. Flexibility is most important amongst those that buy unlocked phones outright. Online retailers are growling the list of smartphones that are unlocked. Top smartphones from makers like Huawei did very well in sales last year. They are going to expand on that this year by selling more models of phones from Huawei and Honor. I have found its technology to be the best in multiple price ranges. On the more budget side, Huawei’s Honor brand produces excellent Android smartphones from $200 - $400. From there, Huawei has worked with Porsche Design to create a special Mate 10 with 6GB of RAM, 256GB ROM and a diamond black high gloss finish. Its kit comes with all of the accessories one would need for the home and car. Its price point is close to $1,200. Pre-orders for the flagship Mate 10 Pro smartphone will be from the 4th – 17th of February from Best Buy, Amazon, Microsoft and Newegg. Changes to the way people in the US buy smartphones and select carriers are here. A peerless carrier in the US, Google Fi, uses multiple carriers to provide the best signal to customers. Huawei happens to be the manufacturer of the Nexus 6P, that Google suggests for use on Fi. Huawei makes some of the best smartphones in the world. I have personally seen the care and engineering that goes into making their phone hardware. According to CEO Richard Yu, during his CES 2018 Keynote speech, the company has spent $45B on R&D in the last 10 years, $11B in 2016 and close to $12B in 2017. Drones ??? ?, drones ??? ?, drones ??? ?, ???? smartphones, voice assistants, technology & more from CES 2018 with @VegasBiLL & me! 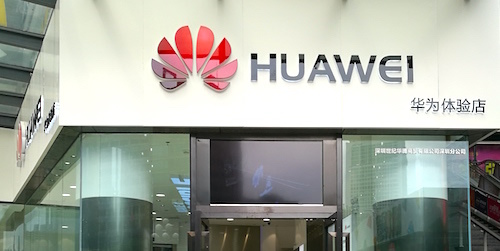 According to corporate information on the Huawei website, they have 15 research institutes and centers, and 36 joint innovation centers around the world. The joint innovation centers are in cooperation with companies worldwide to solve technical problems, collaborate on aesthetics, and explore upcoming hardware challenges. “We are serving over 70 million people worldwide. We’ve proven our quality, we’ve proven our privacy and security protection,” Richard Yu said. By investing billions into research and development every year, they are able to work with the brightest minds in the technology industry. They are solving problems and innovating technologies for future communications. A shift from a wired to 5G wireless world is coming. To that, Huawei wants to create a larger pie for everyone.